The terraced bungalows are situated in the beach area, around the marina, directly at the walking boulevard. The view is unique and very various; on the water, the wide Zeeuwse landscape, the Oosterschelde banks, the beach and/or the marina. The 6-pers. 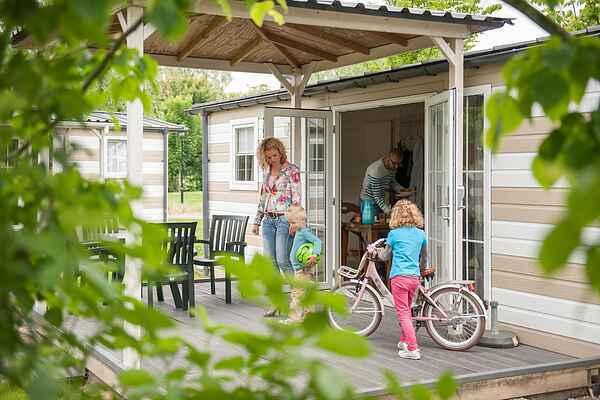 mobile homes (40 m2, NL-4493-10) and 4-pers. (36m2, NL-4493-26) are comfortable and complete furnished and stand on spacious spots. The 4 persons bungalows (40 m, NL-4493-01) are provided with all comfort and have a single sauna and a terrace with garden furniture.